Still living in Australia I now write from the semi-rural home I share with my husband, horses, cats and dogs–not to mention the kangaroos that share the paddocks with the horses from time to time. 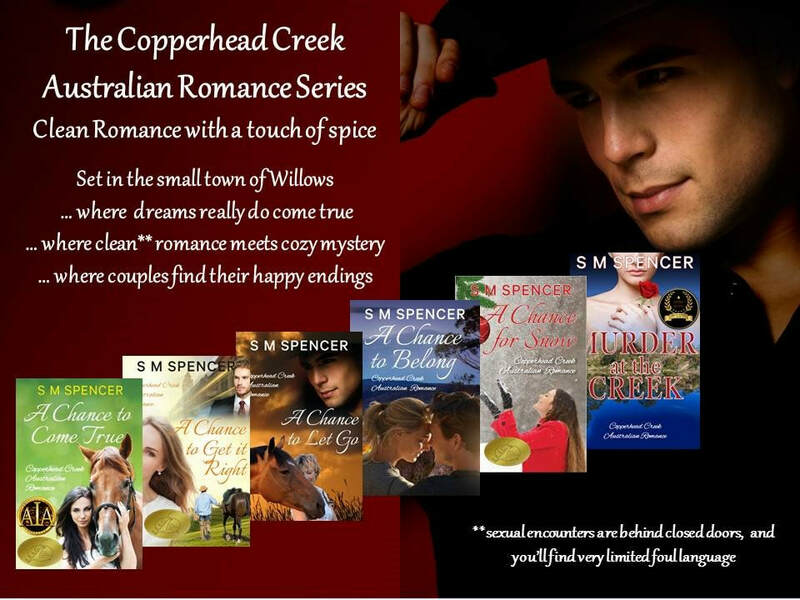 My current series is the Copperhead Creek Australian Romance series. This is clean Australian contemporary/small-town romance set within the Golden Triangle outside Melbourne. Click on the website above to explore Sandy's stories.